In Hood River, Oregon, New Day Aesthetic Medicine offers patients a full range of med spa treatments to help them feel their best, both inside and out. The practice is led by board-certified naturopathic physician, Eric Jorgenson, ND. He is joined by skin care specialist and aesthetician, Danielle Mounts. At the Hood River office, Dr. Jorgenson and Danielle provide a variety of aesthetic treatments, including intense pulsed light (IPL) therapy, laser hair removal, and radiofrequency skin treatments. The practice also offers a range of skin care products, including PCA SkinⓇ and HydraFacialⓇ treatments. Waxing services also available. 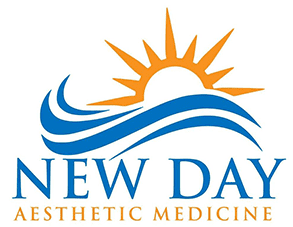 Through these treatments, the team at New Day Aesthetic Medicine addresses multiple skin ailments, including issues like laxity, spider veins, acne, sun spots, and rosacea. From in-office treatments to helping patients find the right at-home skin care regimen, Dr. Jorgenson and Danielle pride themselves in helping patients love the way they look and feel. To ensure each patient gets exactly what they want, New Day Aesthetic Medicine offers a free consultation to new patients, allowing them to meet the doctor and discuss their aesthetic and anti-aging goals to see if they’re a match.